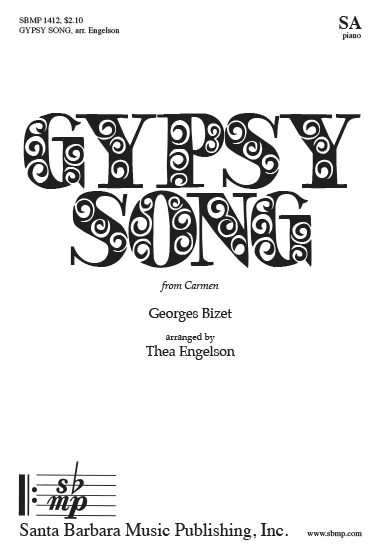 Gypsy Song, arr. Thea Sikora Engelson | Santa Barbara Music Publishing, Inc.
With bursts of tone bright and metallic. The gypsy girls leapt to their feet. Guitars, their rhythm harsh and frantic. The same refrain, the same chanson. Upon their dusky skins were glowing. Like fire they flame upon the wind. Then up and up and up the music spun. Bewitched, they danced and danced the course. Like a whirlwind they soar along. *A sistrum is an ancient handheld percussion instrument.